They say that form is temporary, but class is permanent. Admittedly that’s usually referring to sports teams, but it applies to cars as well. When it comes to class, there’s not much out there that can hold a candle to Bentley. 2019 is Bentley’s 100th anniversary, since Walter Owen (W.O.) Bentley and brother Horace Millner Bentley founded the company. It’s a very different brand today, now based in Crewe in the northwest of England, some 150 miles from its original home in London. However some things remain the same: Bentley still makes powerful, luxury sports cars. How powerful and luxurious? 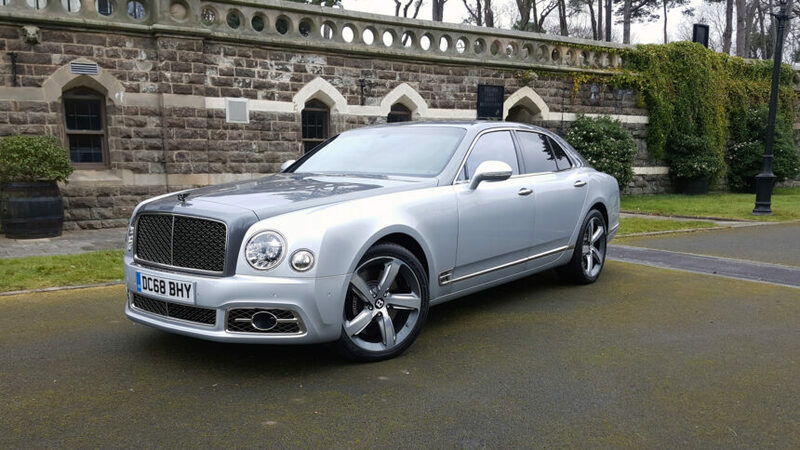 Well, we’ve been trying out its flagship Mulsanne Speed for a week to find out. There’s absolutely nothing subtle about the Mulsanne, especially not in this Speed specification. It’s over 18 feet long, well over six feet wide and, with options, weighs in at almost half a million dollars. And boy are there options. That two-tone paint (“Tungsten over Moonbeam”) is getting on for $16k, and it’s not even the most expensive thing Bentley has fitted to our test car. More on that later. 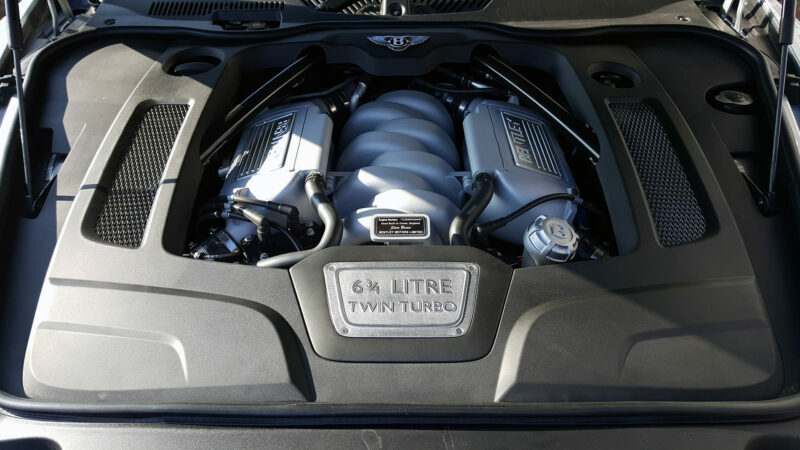 It’s no less subtle under the hood, with a 6¾ (never 6.75, always 6¾) liter, twin-turbocharged V8. For Speed models, that’s got a slight kick over standard figures, to a relatively modest 529hp and an anything-but modest 811lbft of torque. Yes, that’s EIGHT hundred lbft. The Mulsanne sits very firmly at the top of the Bentley range, because it’s a bespoke, hand-made car – and the first in over 80 years. Prior to the Volkswagen Group swallowing the company, Bentley based its cars on Rolls-Royce models, to varying degrees. Under Wolfsburg’s ownership, the brand has made a series of cars based on the group’s platforms. The Continental GT and Flying Spur use the D1 Phaeton platform, while the Bentayga SUV is a VW Touareg/Audi Q7 at heart. If you want a proper, hand-made, all-Bentley Bentley, like Walter used to make, it’s got to be a Mulsanne. Along with its image as a luxury car manufacturer, Bentley is a racing brand. It’s won Le Mans six times, including four successive victories from 1927 to 1930 – the Mulsanne itself is named after one of the track’s famous corners. Its racing drivers are known as “Bentley Boys”. How does this translate to what’s essentially a limousine? 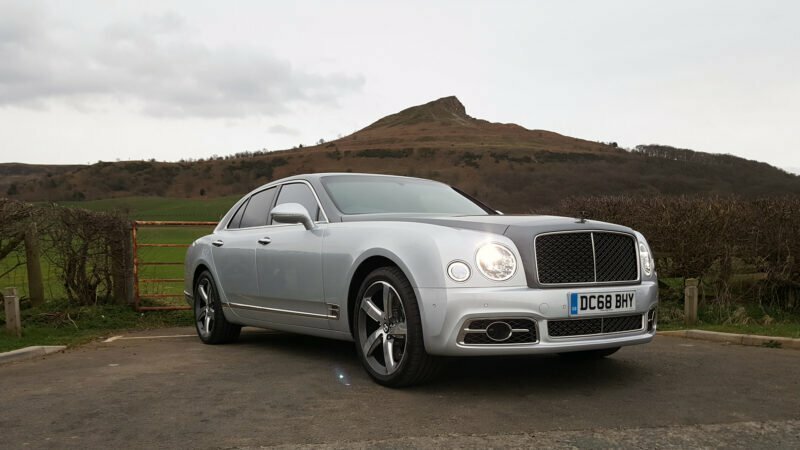 Well, the Mulsanne is a lot more fun to drive than you might think, although it depends on the drive mode setting and your bravery. In Comfort, the Mulsanne wafts along. It’s not the absolute smoothest ride, but it’s certainly up there with the best, and the eight-speed gearbox shuffles along without any intrusion. 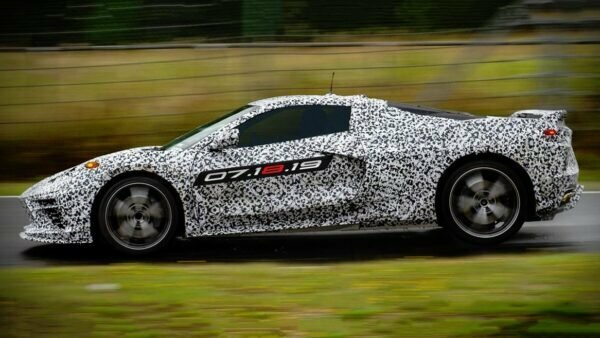 Sport mode reveals the best of the car’s dynamics. Again, you might make better progress in an overtly sportier rival, but it does hide its heft effectively. 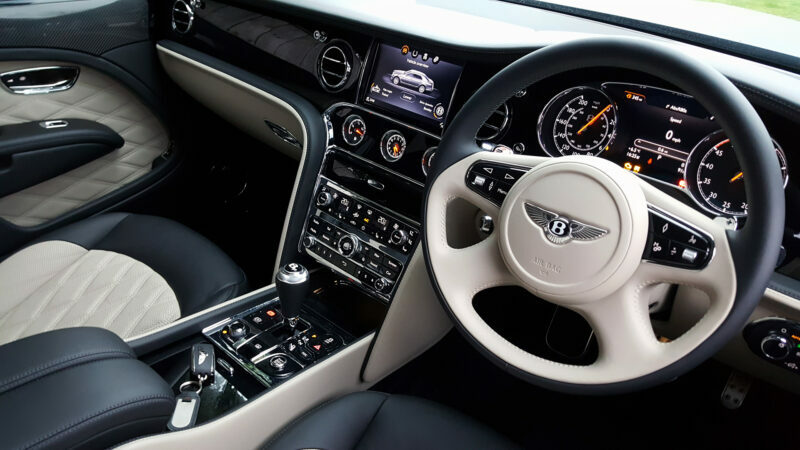 Although you could use the individual “Custom” setting, the best of all worlds is the “Bentley” mode. 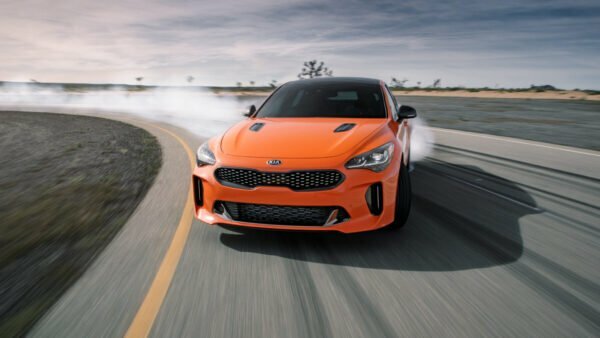 That gives you a decent compromise between the slightly crashier sport suspension and the squidgy comfort setting, along with weightier steering. This is where the bravery comes in. The UK-built Mulsanne is pretty big for UK roads, and visibility is not the best – you’ll want the spring-loaded Bentley wing badge in its upright position just to see where the front of the car is. That makes it somewhat terrifying to drive on some of the more involving, twisty roads on our test route. Thoughts of a phone call to Bentley’s press office, explaining the new styling on one side of its half-million dollar car, are very much aforethought. No less terrifying is the performance. 811lbft is a simply huge amount of torque – there’s nothing outside of extremely limited production supercars to match it – and the Mulsanne can crack on to big speeds very quickly. Certainly then it’s an excellent (and quiet) car on long runs and pretty good fun for a big lass on the more interesting roads but, and this will come as no surprise, it’s not the best thing to use around town. It deals well with speed humps (particularly the narrow, ambulance-friendly pillows) and scratty surfaces, but it’s just too long, too wide and too hard to see out of. When maneuvering, the constant beeps from the parking sensors sound like a broken EKG – although the optional corner cameras certainly help, as does the suspension lift function. There’s still the 12mpg (UK) urban fuel economy rating to contend with, which is nearer single figures in reality. As you’d probably expect for a six-figure (and then some) car, the environment is ludicrously plush, but it’s not without some shortcomings. 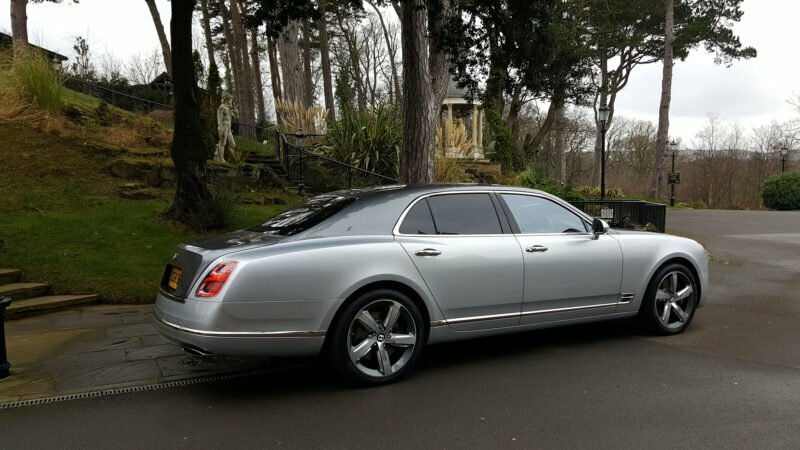 Although the Mulsanne is the driver’s car among limos, it’s still a limo and the rear seats are potentially more important than the front ones. Bentley has certainly covered that base, creating one of the most comfortable places to sit on four wheels. The rear seats feature eight-way electric adjustment, heating and cooling, and each is in its own independent climate control zone. There’s also electric retracting blinds for the double-glazed side and rear windows. The headrests are among the softest things known to man. In addition to that, we’ve got the $20,000 Entertainment Pack. 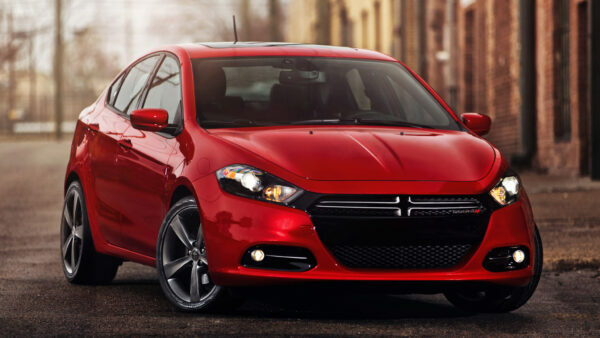 This adds a rear-seat entertainment system with two removable 10.2-inch touchscreen tablets, one for each seat. The front seat-backs also feature some heavy-duty, cantilevered folding tables, and we’ve even got the optional champagne fridge between the rear seats. The front is a slightly different affair. In the face of the modern trend for reduced button clutter and large information screens, the Mulsanne seems a bit like a throwback. The center console is festooned with buttons, and despite coming in at eight inches, the central screen seems a little miserly. Retaining Bentley’s classic “organ stop” vent controls is a nice touch though. But you can’t complain about the quality of the materials, nor technology. There’s copious leather, wood and chrome, with unimpeachable stitching. The floor carpets feel like you’ll never stop sinking into them – if there’s been a corner cut somewhere, we couldn’t tell you where. That touchscreen infotainment system will feel familiar to Volkswagen Group enthusiasts, particularly Audi owners. It’s not necessarily a negative, as the Bentley version is different enough while retaining what makes the system good to use across the wider family. There’s standard DAB radio, navigation and a wi-fi hotspot too. Someone with a lot of disposable income. This is house money for a car, and while it’s certainly a majestic interpretation of the automotive form, the buy-in is huge. 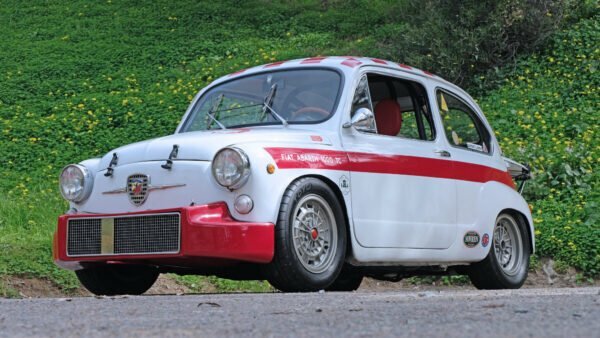 Even without options, our car would set you back £255,800 ($335,000). They’re also more likely to drive themselves than have someone drive for them. Other high-luxury brands tend to attract buyers who’ll pick up the car and employ a chauffeur, but the motorsport identity of Bentley lends itself more to those who take the wheel. Also wedding car companies. Lots of wedding car companies. There’s two obvious direct rivals for the Mulsanne. The first is former sister brand Rolls-Royce and its Phantom, while there’s also the Mercedes-Maybach versions of the S-Class. Both offer the same luxury limo vibe, and all hit similar performance levels too. The Maybach is quite a bit chea… less expensive than the Brits though. Lower down the scale there are cars like the BMW M760Li, the Aston Martin Rapide, and the Porsche Panamera, but they’re aiming at some slightly different targets. If motoring opulence is your goal, you might feel shortchanged – despite spending half as much. The Mulsanne is one of those vehicles that’s in a strange, rarefied section of the market where no amount of objective reviewing really matters. Like hypercars, this is a vehicle where brand (and brand loyalty) and emotion will sell regardless of what anyone says. 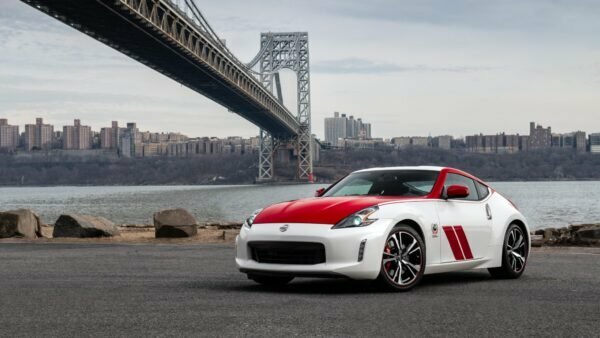 Nevertheless, it’s a little behind rivals for outright ride comfort, a couple of steps ahead for driving manners, and trading blows with them for the interior environment. In other words, prime Bentley territory. If there’s one criticism we can make, it’s that we’d want to wave a wand over the center console to bring the design up to date. 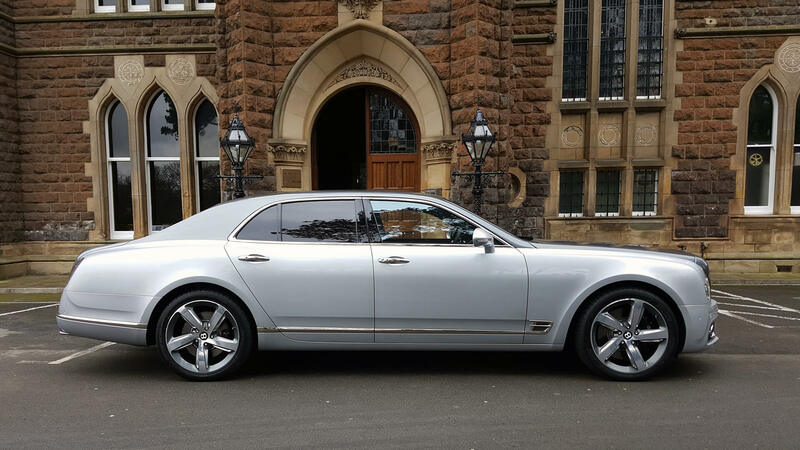 Other than that, it’s hard to feel like anything other than local royalty when in charge of the Mulsanne. 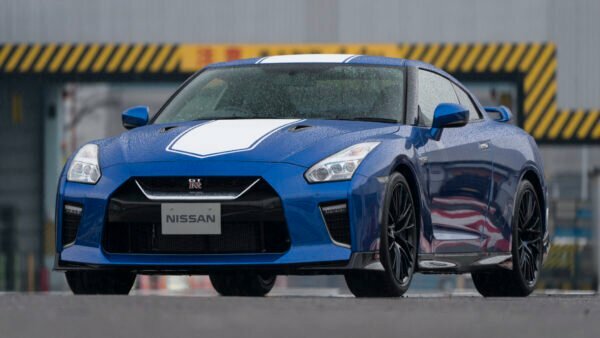 A huge car that can be huge fun, but a price tag to suit. Not overburdened with power, but certainly as much as you’ll ever need. Huge torque figures make overtaking a cinch. Close to the best riding vehicles of all, the Mulsanne makes up for it with surprisingly engaging driving manners. Huge amounts of room in the back and a hatchback-sized trunk to boot. You’ll never complain about either space or comfort. The standard car already has all the equipment you could ever need, and the options add loads more you’d never even thought of needing. Although it’s a hand-built work of art, it’s tough to say that any car worth half a million dollars truly represents good value for money. You’ll have to spend more to beat it though.